The connections to your batteries matter. How you make them, how you torque them and how clean they are all matter. Not following best practices or marine wiring standards can impact your personal safety. While doing a winterization, and getting ready to equalize these batteries, I noticed something strange that I could not really put my finger on, then it hit me. The battery case around the positive post was melted and uneven looking. When I grabbed the positive battery cable it was physically able to twist on the post with just minimal pressure. Upon closer inspection it was apparent that the battery terminal had gotten so hot that it began melting the plastic of the battery case. I am not one of those marine insiders who is in the camp of “Nylocs are bad on battery terminals“. This example showed that the failure mode was not in-fact the Nyloc nut. 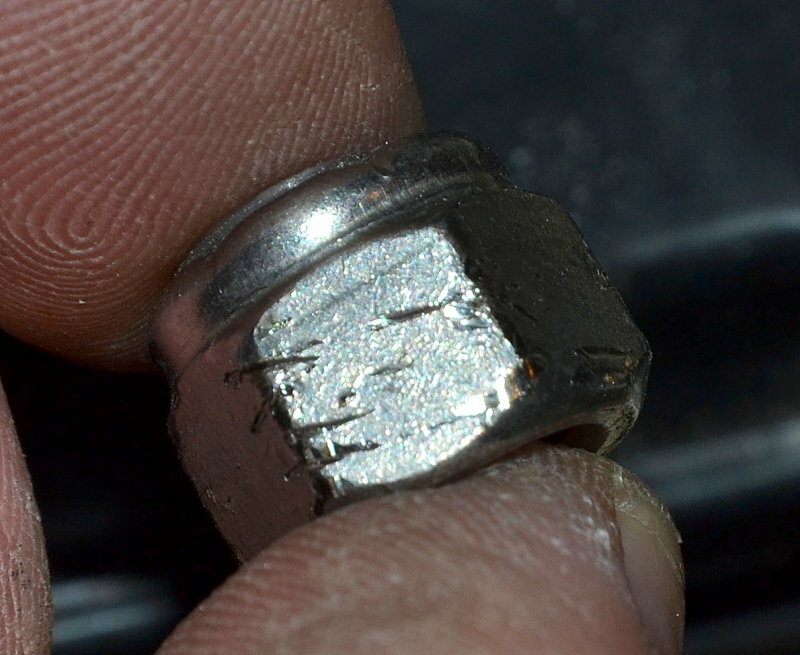 I could not back this nut off with my fingers, even after it was loosened with a wrench. The plastic battery case melted well before the Nyloc failed to “loc” / lock. Battery cases are made of polypropylene and Nyloc nuts are made of nylon, which has a higher melting point than the battery case does. I do prefer to see a locking washer on battery post studs but sometimes they simply don’t fit, where a Nyloc may. In either case the nut must be properly torqued to battery manufacturer specifications, this nut was not. The nut coming loose or vibrating loose was not the problem or the root issue here. This problem was simply poor installation practices. #1 The Nyloc nut was not correctly torqued and showed clear evidence of pliers or another unsuitable tool being used for tightening. #2 The lug had a SS flat washer placed under it. A SS flat washer should never be inserted between the lug and battery terminal. It is perfectly okay to use it under the nut, but it must remain on top of the lug & never underneath the lug. I hear and see it stated quite frequently on the interweb not to use Nyloc nuts on batteries. The supporters then trumpet this around then net as fact without doing any sort of critical thinking. Unfortunately they line up to defend this sentiment without doing any sort of research or examination of actual facts. Okay fine, it’s the net, can we examine this a bit..? The Nyloc nuts I use are rated to 140C for the safe working range. This is 284F. The best marine UL1426 battery cable you will find is rated to just 105C. There are still thousands and thousands of boats out on the water, built in the 70’s & 80’s, using 60C rated battery cable, sad but true. If the Nyloc in the nut will melt and cause a failure then I suppose we may all need at least 140C rated marine wire too? Of course we can’t just look at the safe working range if we want to see when an actual failure might occur. Where would that likely occur? Probably somewhere close to the melting point for the nylon. The actual melting point of the nylon used in Nyloc nuts is approximately 425 degrees, but for a seat of the pants examination we can still use the safe working temp of 140C/284F. What if you have soldered battery lugs? If you do it is quite probable that you a solder that actually melts at between 360F and 425F. You read that correctly, many electrical grade solders melt at approximately the same temp as the nylon used in a Nyloc nut. What about the plastic used in the actual battery cases? Battery cases are made of polypropylene, not nylon. Polypropylene, or the battery case, actually melts around 100F lower than the nylon in the Nyloc nut does. Yes, we are seeing exactly that right here in this case. 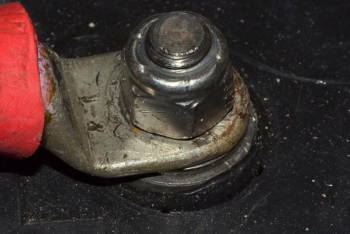 The Nyloc nut survived with plenty of locking still intact, yet the battery case had begun to physically melt. Let’s also look at the way the vast majority of inexpensive batteries for marine use ship to us? Many marine batteries, even today, and I install hundreds of them, still ship, believe it or not, with hex nuts but no locking washer. Yep you guessed it there is no lock washer to be found with many of the price-point brands. Heck there are still some brands shipping with wing nuts and no locking mechanism. Plus just about every LiFePo4 prismatic cell manufacture I know of. All the batteries brands I just mentioned can deliver MASSIVE amounts of short circuit current into a dead short. How many folks that DIY do you suppose add anything additional beyond what the battery manufacturer supplied with the battery? A nut only may be okay, if the nuts are properly torqued, and cable properly strain relieved, and the battery physically can’t move, but I rarely see that, and the ABYC standards actually allow for batteries to move slightly. Remember most marine batteries ship with either wing-nuts or regular nuts but nothing at all to “lock” them with. Fail…. 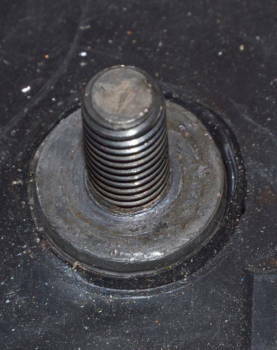 In this case, the Nyloc nut was still well “locked”, despite the battery case physically melting due to high resistance. I’d have to vote for the Nyloc certainly being better than no locking aid at all. 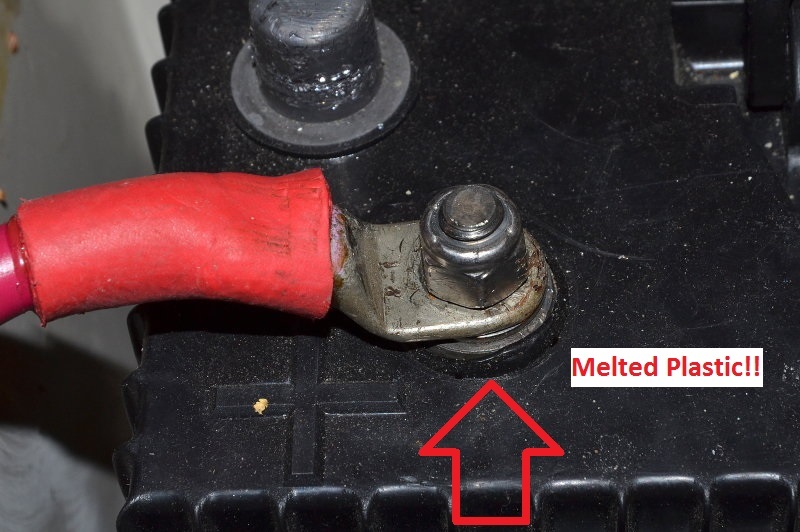 Before your Nyloc nut can melt, the battery will have likely already begun to melt, as it did here. So even if you somehow exceeded the 284F, and the Nyloc nut failed to perform its locking feature, and this can only be considered a secondary failure, we would still need to have a primary failure or a nut torque failure first.. In this case we had a primary failure mode, lack of proper nut torque, which lead to high resistance and then to the battery case melting. A physically melted battery case and yet a secondary failure of the Nyloc still did not occur. We would need two failure modes to have the actual failure of a Nyloc nut. A melted Nyloc and an improperly torqued nut to begin with. 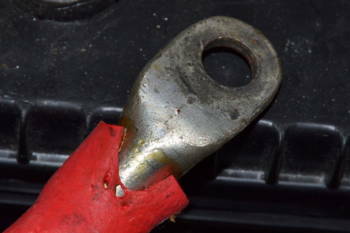 Based on the factual data, including melting points, this suggests that before this Nyloc nut would have failed the battery case would have been so melted the owner would have been alerted to something, such as a fire or acid all over his vessel, well before the Nyloc nut became an issue. The way most batteries ship, without any locking washers, your failure mode is just one failure. Add a Nyloc and you now need two failures before anything bad could happen. Add a locking washer on top of a Nyloc and now you’d need three failures. I see thousands of battery posts every year with no locking mechanism. Do I carry lots of 5/16″ and 3/8″ lock washers and 5/16″ and 3/8″ nuts, & wire ties, you bet I do. I also however carry a lot of 5/16″ and 3/8″ Nylocs too adn in cases of short battery posts, such as trojan batteries, I also carry flanged self-locking nuts.. I go through multiple boxes of 100 each of lock washers and Nyloc 5/16″ and 3/8″ nuts every year. My personal preference here is to use a locking washer when ever I can, but when it won’t fit, I have no issues using a properly torqued Nyloc nut on a battery terminal. 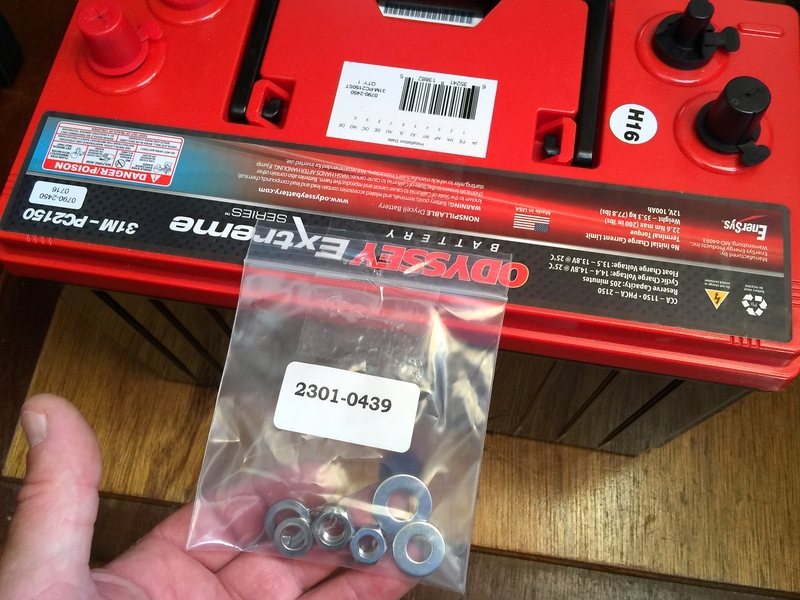 How often do I see regular hex nuts, like price-point sensitive battery manufactures ship the product with, that lack a locking washer, actually come loose? Not all that often but I do.. When I do, there are often signs or evidence they were tightened by a pair of pliers, as was the case here. 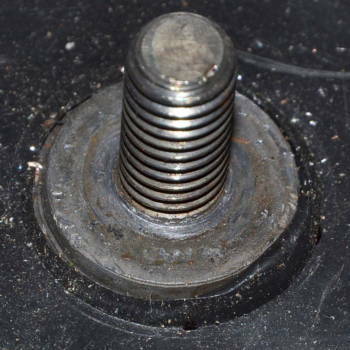 When tightened with a wrench, & properly torqued, it is actually pretty rare to see a loose standard nut, even without a locking washer, come loose. When I do see this the battery installation has been sloppy, allowed too much battery movement and had sub-optimal strain relief for the large gauge wire. The key words are “properly torqued“. 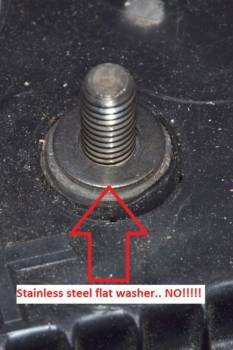 Properly torqued is the reason the ABYC, USCG & marine industry has moved away from wing-nuts in favor of hex nuts..
Boaters and techs far to often opt to not to use a wing nut wrench and improperly believe proper torque means with thumb and fore finger. 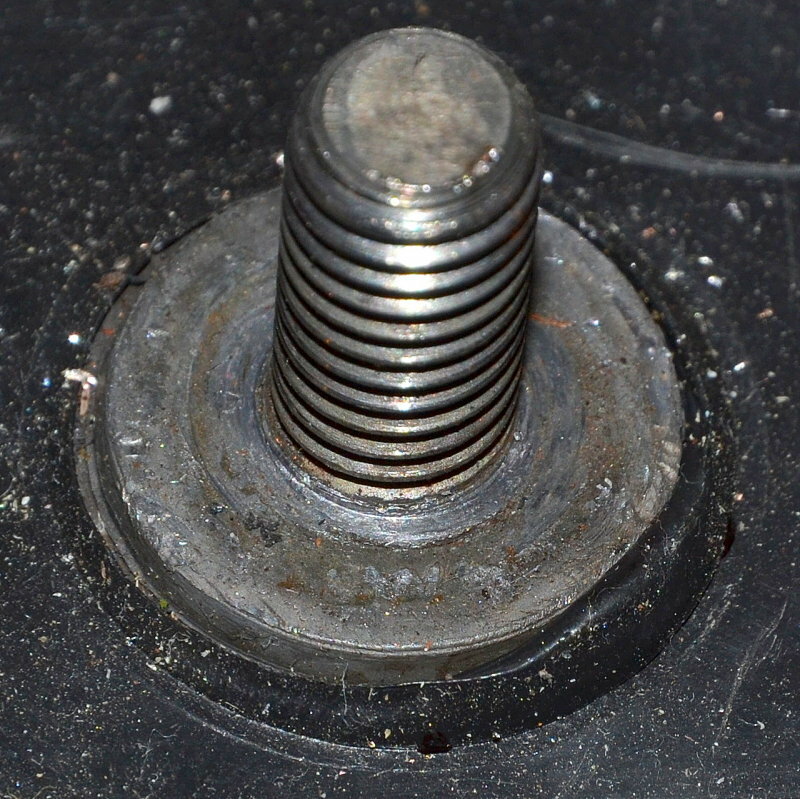 It’s simply not possible to properly torque a wing nut with your thumb and fingers. It is also not advisable to torque standard nuts with a pair of cheap pliers. Would you torque your lug nuts with pliers………..?? I can personally point to numerous instances of loose wing nuts, but not a single case where a Nyloc came free because it melted and then vibrated loose. 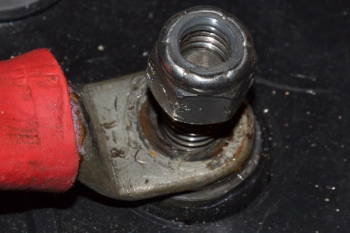 In almost every case of a wing nut coming loose it was because the installer made the nuts “finger tight” which is a far cry from wrench tight..
It’s interesting to note that the ABYC safety standards specifically prohibit wing nuts above 6GA wire but they make no such prohibition for Nyloc nuts. 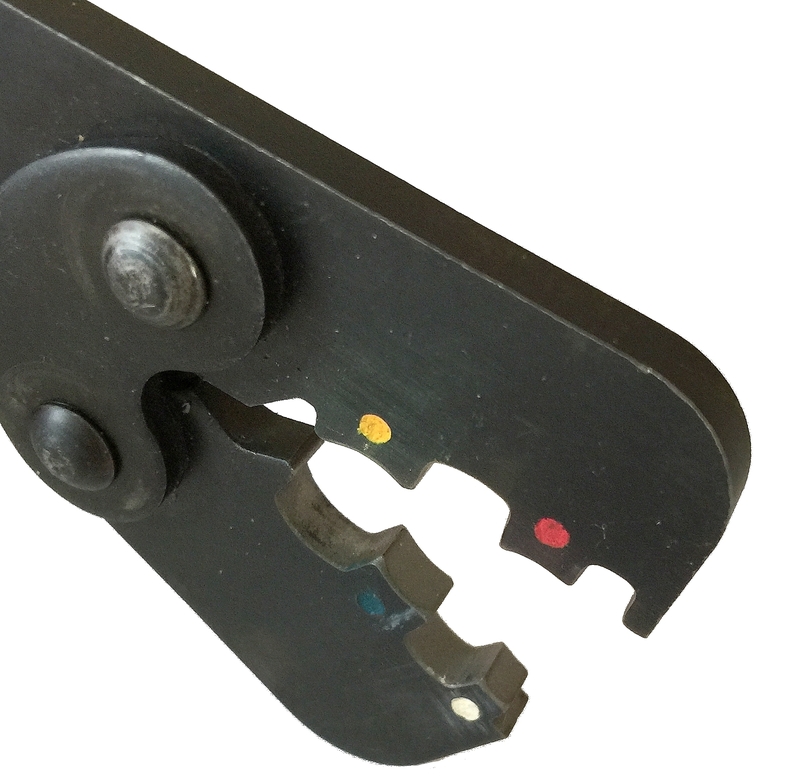 My only point here is to suggest that I would prefer to see a Nyloc used rather than the option of a regular nut with no lock washer or a wing nut with no lock washer. My first preference, if it will fit the post, is for a Nyloc nut and locking washer, second choice would be a nut and locking washer, as many premium battery makers ship with, third choice a Nyloc only and fourth choice a regular nut, all of these of course properly torqued. Unfortunately there are situations where a regular nut is all that will fit on the post and in this case proper torque is a must regardless of what you choose. This lug got very, very hot, hot enough to physically melt adhesive lined heat shrink. Even my industrial grade Milwaukee heat gun has never melted heat shrink like this. It should also be noted that this battery was protected by a 200A ANL fuse. The fuse and holder are perfectly fine and never blew. Why? Fuses won’t and can’t protect against high-resistance which is what caused this situation. A high-resistance situation can start a boat fire at well below a fuses trip rating. Here’s the other half of this problem. The first half was caused by improper torquing of the Nyloc nut with pair of pliers. Please DO NOT use pliers to tighten and torque battery terminals. The second problem arose because the person who connected these batteries left the flat SS washer on top of the lead battery post. This means the SS wahser was sandwiched between the lug and the lead of the battery post. 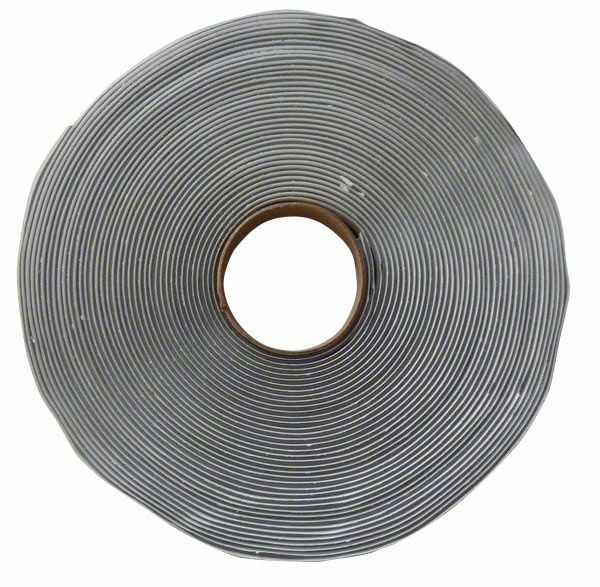 Stainless steel is a horrible conductor, one of the worst. In battery installations flat washers should never be placed between the lug and battery post. They can only ever reside on top of the lug compressing it not being compressed. “10.8.3 Battery cables and other conductors size 6 AWG (13.3 mm²) and larger shall not be connected to the battery with wing nuts. 10.8.4 Multiple conductors connected to a battery shall be installed with the highest ampacity conductor terminal closest to the battery, followed by successively smaller ampacity conductor terminals. 10.8.4.1 A maximum of four conductor terminals shall be permitted to be installed on a single battery stud. Here’s another shot, and close up, of the melting of the plastic case around the positive post. This battery will now be retired because its ability to hold electrolyte may have been compromised. We have no way to see inside, to inspect actual damage to the electrolyte post seal, so as a safety precaution this battery will be recycled, even though it still tests fine. Sad really. If you click on the photo, and look closely, this terminal does not appear to have been cleaned before the terminals were re-connected in the spring. There are signs of “hot spots” in the lead and what appears to be some melting close to the stud too. This termination point was creating tremendous resistance and lots of heat thanks to a combination of not just one, or two terminal installation errors but a third as well. The third failure mode here is that poor cleaning and housekeeping of the terminals themselves was evident. Here’s another view of the physical melting, of the battery case, around the base of the post. It should not look like this. Issues like this can start small but can quickly become quite problematic, especially if left unchecked. Please keep a watchful eye when connecting and disconnecting your battery banks for anything unusual. I apologize for the poor quality photos. The lighting on this boat was rather pretty poor. This particular battery is an extremely high current capable AGM variant called TPPL or thin plate pure lead. This Odyssey, a single group 31, can deliver 5000A of current into a dead short. You really don’t want your connections loose on a battery like this. 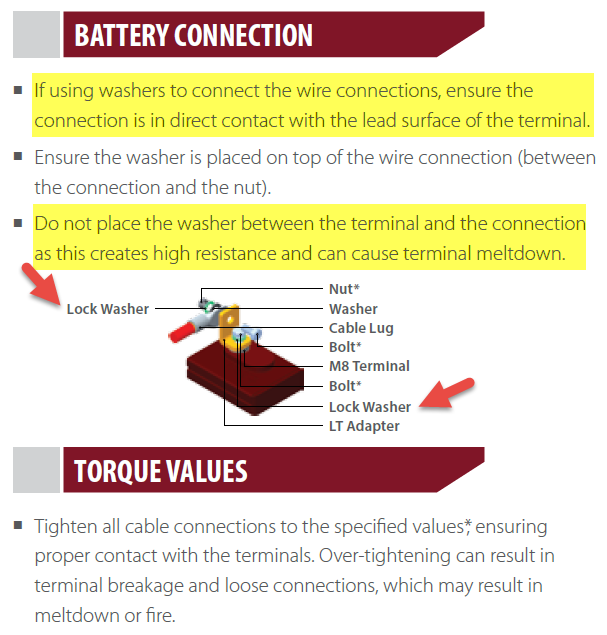 EnerSys, the parent company of Odyssey, thinks it’s important enough to include a “locking mechanism” or lock washer with their product as do many other premium battery manufactures. In this image the kit is still taped to the battery as it shipped. This image is from a document I received at a Trojan Battery training seminar at a solar conference. In this document Trojan is saying exactly what I am. 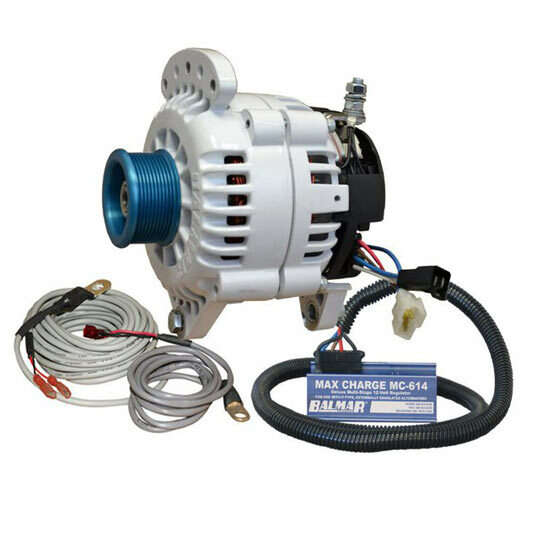 You can not place a washer between the lead or brass battery terminal and the cable lug because it creates a high resistance point which can lead to a melt down. Also note where Trojan Battery is showing the use of lock washers despite only currently including washers with their Reliant AGM batteries. 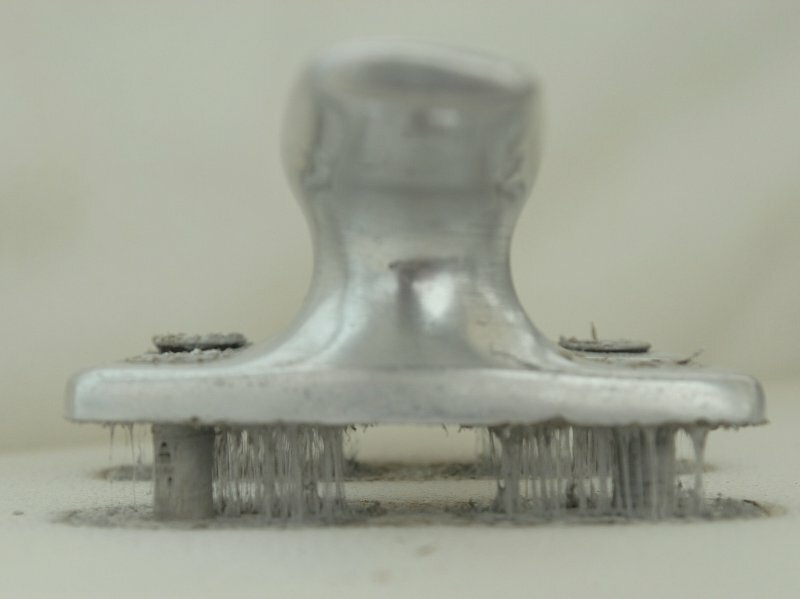 Perhaps the lack of a locking washer, on some of their flooded products, is due to the “shrinking post syndrome” some of their batteries have been suffering from that feature the ELPT (embeded low profile post) terminals. I am sorry but a 3/8 nut should not look like this. They invented wrenches hundreds of years ago so we can properly tighten nuts. A set of pliers is not the same as a wrench. I have no idea what type of pliers or tools were used to install this nut, perhaps even a pair of lobster shell crackers, but it was simply not done properly or safely. Please be careful out there. It only takes a few moments of inattention, or some poor practices, to get your boat burned to the waterline. This disaster waiting to happen, was narrowly averted and no amount of over-current protection would have prevented a full meltdown if this had been allowed to persist. Interesting article – thank you. I’m reading since I’m about to install a bank of LiFePo and I intend to go over my complete system and clean all connectors and terminals on the large cables. I’d be interested in your comments on cleaning technique and if particular compounds should be used to keep the oxygen out of the completed connection.